Why GM food / feed at all? The mention of GM crops evokes a mixed response from different strata of people, like a section of resource constrained farmers and activists feel anguished while scientists, MNC’s and technocrats may take it as a prospective technology to take the way forward to address food security and reap commercial benefits. In spite of various views concerned with GM crops, the first question that bogs our mind is why even are we talking of GM crops when traditional food choices exist. One of the foremost reasons is scientific curiosity combined with the need to solve the food security issue of the ever growing population. To add burden to the misery are our rapidly depleting agricultural lands. Another reason is the impact of climate change causing unwarranted onset of floods, draughts and calamities making us to look for agricultural innovations by having crops with more tolerance to climate changes.At the same time to maintain sustainability with the environment, there is a need for practical solutions to improve the carbon footprint trail left in production activities. It is possible that GM crops can be modified keeping the above requirements in question. 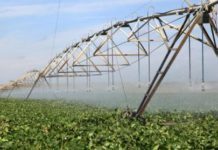 Hence, the need arises to foray in newer fields of technology for greater production of food crops in same or lesser available land resources and serve the needs of the human as well as animal nutrition. Animal feed industry heavily depends on agricultural crops and their byproducts and thus the introduction of GM crops on large scale in mainstream is going to affect the animal feed industry directly. Apart from cereal grains viz. maize, bajra, sorghum, barley etc. 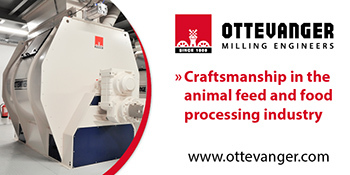 animal feed mainly comprises of the vegetable protein derived from crops viz. groundnut oil cake, soybean meal, sunflower oil cake, cotton seed meal, mustard oil cake etc. and some milling byproducts like bran of rice and wheat. 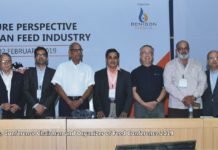 The current scenario on the Bt cotton and Bt mustard in India is having direct consequences on the animal feed industry as these two crops comprise a major part of animal feeds as well. Other GM crops waiting commercialization in developing countries are soybean, canola and maize and are a major source of protein and energy as animal feed. Globally more than 340 GM crop events/lines have been approved for use as feed. The relevant GM crops widely used as a source of feed for livestock include corn, canola, cottonseed, soybean, and potato, mainly used as an energy and/or protein source. GM crops currently approved for use as animal feed are modified for herbicide tolerance (HT), insect resistance, modified oil content and virus resistance. As per statistics of ISAAA (International Service for the Acquisition of Agri-biotech Applications) out of total crop production in the world, the percentage of feed grains ranges from 18% to 90% for crops ranging from wheat to sorghum, corn, oats and oil seed meals. Livestock owners mainly prefer corn grain and soybean meal for energy and/or protein source in both monogastric as well as ruminants. ISAAA statistics reveal that out of about 90 million metric tons of GM corn grains produced worldwide, approximately 70% are used for livestock feed and similarly from about 70 million metric tons of soybean meal are fed to livestock per annum which is derived from GM soybean. Safety of GM crops as feeds for livestock. Change in animal performance by GM crops. Transfer and/or accumulation of transgenic materials in milk, meat and eggs. As a result of such concerns, countries like Bulgaria, France, Poland and Sweden have stopped cultivating the GM crops as such but are importing them. The countries leading the world in having the maximum production of GM crops are US, Brazil and Argentina; respectively. Developing countries hold a share of 28.025% of the current global market of $15.7 billion in 2016 . GM technology itself is neither good nor bad, but rather it is the way in which GM crops are applied in practice that will determine their contribution to sustainability, as with all agricultural advances. 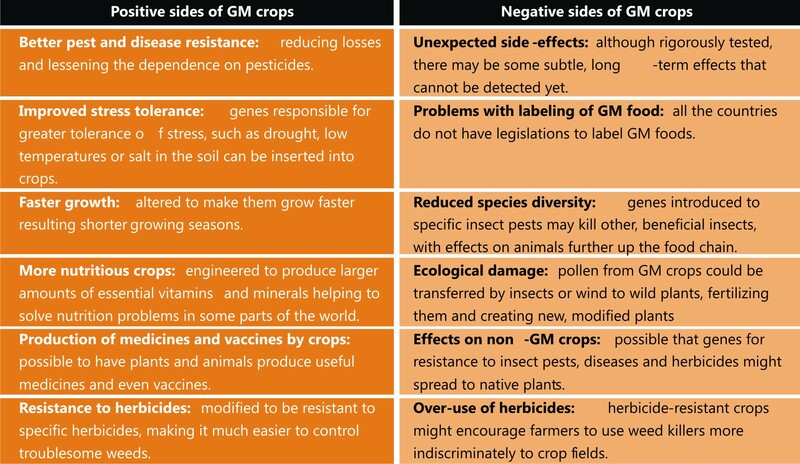 It’s hard to make many sweeping, definitive statements about GM crops and different crops can be modified for different purposes and uses around the world.Future GM crops with enhanced output traits may have profound effect of improving animal productivity and performance and may help GM crops to foray as alternate and/or supplement to traditional crops on a larger scale as livestock feed in near future enhancing the climate smart agriculture practices as well. 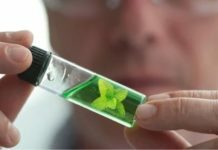 Though scientific studies and their analysis till now have not shown any untoward effects of GM crops on human and animal health and the growing body of scientifically valid information indicates safety of GM crops for food/feed use, but it can be authenticated only with further studies and clinical trials on a large scale in different parts of the world. The main concern is the ethical acceptability of the GM crops by the larger population as a whole which is slowly finding relevance with improving societal norms.